Phantom Aerosol 6* (17.5 oz cans) by Phantom at Blog Free Here. Hurry! Limited time offer. Offer valid only while supplies last. Phantom Aerosol Spray has changed to Phantom II. Phantom II is still the same product - it still contains the same active ingredient, Chlorfenapyr. Phantom Aerosol Spray has changed to Phantom II. 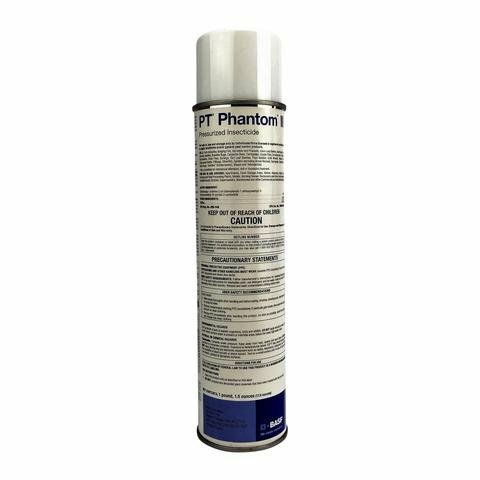 Phantom II is still the same product - it still contains the same active ingredient, Chlorfenapyr. It now kills more insects such as foraging Fire Ants, Harvester Ants, Bees (Honey), and Carpenter Bees. Now containing a new formulation, this newly improved aerosol spray has less odor. Chlorfenapyr, the active ingredient found in PT Phantom II, is a pro-insecticide-after entering the pest, it's metabolized into an active insecticide that is even more toxic to the pest than in its parent form. In essence, it becomes more potent after absorption, reducing the chance that resistance might develop. Creates an undetectable treatment zone that pests continue to contact.